WHAT I SMELL: Constance opens with the most inviting deep mandarin floral combination; it’s gorgeous, big, beautiful and rather buttery…and it’s thick and juicy and completely rapturous…oh, I could keep on going! In a short time, the thick sheen of juice soon begins to thin and soften and the rather fruity opening moves to a light spice with jasmine at the heart. Constance remains incredibly pretty, but the big, and bold moves towards the more mysterious and exotic. Vanilla sets the tone moving forward, but with a light hand. The perfume is so incredibly warm and inviting and it feels as if it pulses off the skin as if it were an extension of one’s being. Additionally, a bit of labdanum adds just the right amount of amber like dimension keeping the vanilla in check. In the end, Constance is this intoxicating warm and exotic floral that’s spiced, lightly powdered and incensed. Constance is a head turner and absolutely beautiful. WHAT IT SMELLS LIKE TO ME: A woman of mystery…Mata Hari. Classification: Feminine, but I could see a man wearing this as well. Expense: $120 for 50ml eau de parfum. Exclusively sold in the US by Indigo Perfumery. WHAT I SMELL: Quentin opens with a rather funky herbal tarragon and a cinnamon that mixed together is bold and smells a little off. This initial funk makes me wonder what kind of ride I’m in for. Soon enough, the herbal discordant opening starts to even out the rough edges and the mixture moves from the funkified to a more flattened woodiness and light leather. At this stage, the perfume is really dry and the leather is front and center and a woody vetiver takes its place next to it. In addition, a patchouli adds just a light sweetness to the perfume, but it chooses to stay in the background. For some time, there’s a noticeable petroleum smell, as if the leather was cured in oil and grease. But as the perfume develops, that starts to dissipate and a floral warmth takes its place. On paper, this smelled a great deal to me like Miss Dior. On my skin however, I am thinking not so much…that is until around 30 minutes into the wear. And that’s a good thing. Miss Dior rocks my world and it is about as masculine of a woman’s perfume as there is. As the perfume continues to develop, it becomes less Miss Dior and ends up in this petroleum fueled leather spiced musk. Quentin is a traditional scent fortified with just the right amount of daring. WHAT IT SMELLS LIKE TO ME: The original Red Baron, Manfred von Richthofen. BOTTOM LINE: The Deco London line beautifully captures the essence of traditional perfumery, but with a modern sensibility. As you can see, Constance is my favorite in the line, but the feminine floral essence of Millicent comes in a close second. For the men, Quentin has that modern edge that makes it unique, but Ernest is an incredible old school classic perfume. What a great start for a new perfume house. Welcome Deco London, you’ve made quite the splash! Samples courtesy of Indigo Perfumery. Categories: Deco London Perfumes | Tags: 3 bones, 4 bones, Constance, Deco London Perfumes, eau de parfum, EDP, Feminine, fragrance, masculine, Millicent, New Release, Oriental Woody, parfum, Perfume, Perfume Review, review, Robertet, woody spicy | Permalink. WHAT I SMELL: Aqua Vitae Forte opens softly with a beautiful sugar kissed bergamot and citrus. It’s light and ethereal, romantic and pretty as well as comfortably warm and lightly powdered. Blended seamlessly, the notes are very hard to distinguish except for a floral finish on a bed of beautiful sandalwood which also provides for a slightly soured bitterness, which does not detract from the perfume’s beauty. After quite some time, Aqua Vitae Forte begins to grow ever so quietly and a slight celery like accord and hints of spice come forward giving the perfume this floral and vegetal presence. The perfume is slow to develop and it transforms like a dreamlike cloud passing oh so slowly to reveal the sun once the wisps of the clouds have passed. Dive into the memory of a summer day when the sun’s rays brush against a tanned skin. Imagine the caress of a floral and woody breeze… Aqua Vitae forte forges this invisible bond between the freshness of the nights to come and the heat of the days gone by. Bergamot and lemon from Calabria – Cardamom from Guatemala – Cinnamon from Ceylon East Indian sandalwood – Mandarin from Sicily – Orange blossom from Tunisia – Pink Szechuan pepper – Vetiver from Haiti – Ylang ylang from Madagascar. 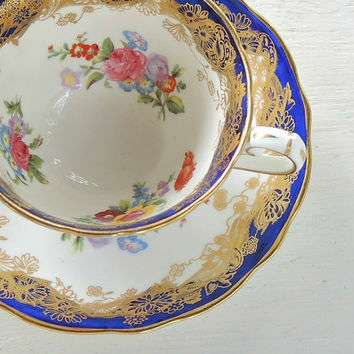 WHAT IT SMELLS LIKE TO ME: There’s a delicateness to the perfume, that’s met with a strong foundation like a set of beautiful fine china. BOTTOM LINE: Aqua Vitae Forte is like the second cousin of Puredistance WHITE, which I love. Except this perfume is a bit lighter and ethereal, but equally as romantic and beautiful. 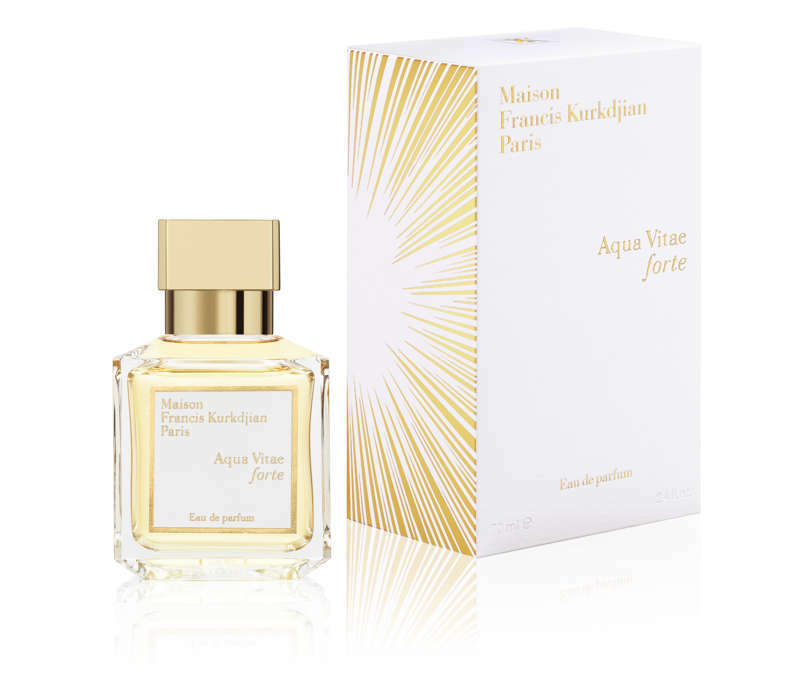 Categories: Maison Francis Kurkdjian Paris | Tags: 4 bones, Aqua Vitae Forte, EDP, Feminine, fragrance, Maison Francis Kurkdjian, parfum, Perfume, Perfume Review, review, woody spicy | Permalink.